With their fourth-round selection in the 2018 MLB Draft, the Houston Astros selected Alex McKenna on June 5. Cal Poly’s star center-fielder had his childhood dream become a reality. 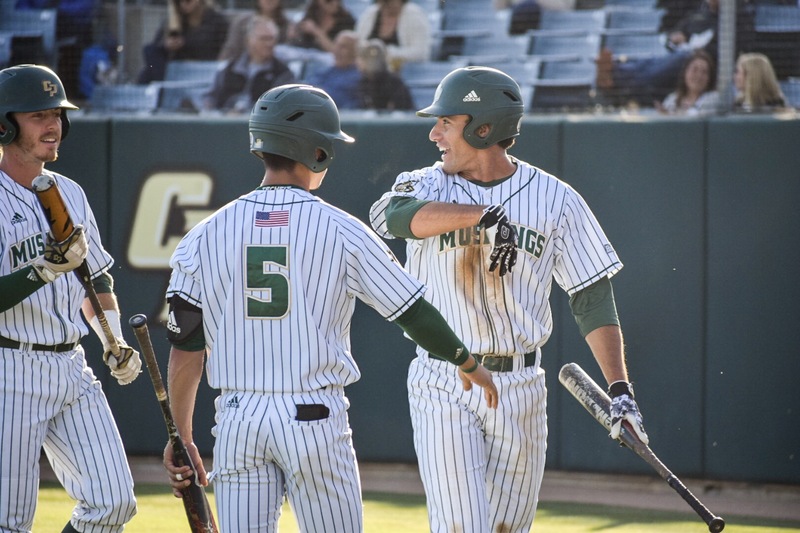 Following in the footsteps of former Mustangs who have entered the professional ranks, McKenna was Cal Poly baseball’s most highly touted draft prospect this year. In high school, Mckenna deferred the draft after being selected in the 38th round by the Twins. Instead, he chose to come to Cal Poly in hopes of increasing his draft stock. McKenna’s current success pulls from past experience and his strong family core. A passing glance at McKenna’s Twitter or Instagram shows that family and faith are two huge parts of his life. McKenna’s parents Joe and Myrna, and his sister Erica are, in some combination, present at almost every Cal Poly baseball game, home or away. The support dates back to the day Alex first stepped foot on a baseball field, following in the footsteps of his father. The elder McKenna played baseball for Cal State Los Angeles and instilled his own passion and drive in his son. Family sets the standard and faith cements it. In addition to the unending support from his family, Alex also turns to his religion. Former Cal Poly outfielder Mitch Haniger went to the Milwaukee Brewers 38th overall in the 2012 draft. He was traded in 2014 and after a two-year stint with the Arizona Diamondbacks, he has been a force to be reckoned with since finding a home with the Seattle Mariners. Leading the team in home runs, RBIs and slugging percentage, he is very familiar with the journey Alex is about to embark on. Haniger has seen Alex play before and was impressed. “I was very impressed with how he handled the bat when I got to see him play,” Haniger said. While Haniger and Alex come from the same college program and play the same position, their game varies in certain aspects. “Their make-up is similar but their game is really different,” head Cal Poly baseball coach Larry Lee said. Both McKenna and Haniger played center field in college, but would be more likely considered corner outfielders at the major league level. In addition, both are naturally powerful hitters, according to Lee. Alex, along with another Mustang, Nick Meyer, were ranked in the top 200 MLB Draft Prospects as 97th and 167th respectively. Meyer got picked up by the New York Mets in the sixth round at 170th overall. With their selections, coach Larry Lee has put 68 players into the majors and 30 have been drafted the top 10 rounds. Having the right mindset is a large part of the battle of moving up the ranks in the MLB. Luckily, Alex is prepared for that challenge. Alex’s parents, said they are proud of him and look forward to what his future holds. The journey ahead is a long one but the future is bright for Alex. “Alex is a very fun player to watch and I’m very excited to follow him while he makes his way up to the big leagues,” Haniger said.